With data breaches all too frequently making it into the news, it is becoming more and more critical for network managers, bosses and individuals alike to ensure that their data is being looked after and disposed of correctly. The latter is something that iPC Solutions can help you with in addition to taking care of the recycling process for the vast majority of your IT equipment. What do you do with your old IT equipment? Is it sat, gathering dust and taking up valuable space? Do you have it collected? Do you know where it ends up once it’s gone? Does it end up as landfill? Is your sensitive data being erased or destroyed to government approved standards? The erasure or destruction of data to government approved standards. A secure vehicle and site. Interested in a collection? Please give us a call on 01621 857085 for a collection or email ipcsolutions@live.co.uk. We dispose of your non repairable items with local recycling firms, nothing goes into landfill! 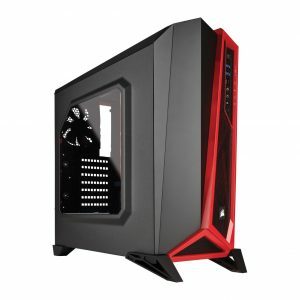 our new ecommerce webshop is up and running with some fantastic products for you to buy and build your own PC. Or, you can order your parts, deliver them to us and we’ll take care of the building part for you for a one of fixed fee. Go and browse today! 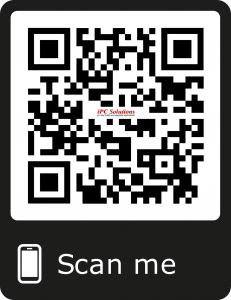 www.ipccsolutions.org.uk/shop or scan the QR code. Check out our for sale page for some used MacBook Airs we have for sale. All fully tested and ready to go! WE HAVE FINALLY LAUNCHED THE NEW SITE! Admittedly, it’s been a long time coming but its basically there! A few tweaks here and there but should be operational for you to buy all your computer parts, desktops and laptops. We also have a new custom build laptop service coming soon too! And whats more, you are completely secure when shopping online at our store and your details will NEVER be shared to 3rd parties! We may use them to send you offers but only with your permission! We have recently started a ncie business partnership and became Maldon Fruit Supplies official IT provider. It should hopefully become a very ‘fruitful’ partnership for the business and their staff. If you or your businesses require fresh, quality fruit and veg, give Maldon Fruit Supplies a try, you won’t be disappointed! 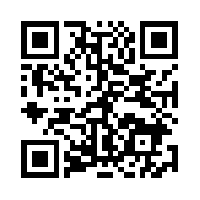 To update the website with products and inventory items and make any changes or upgrades needed. Pay will be discussed. This role is based on an ad-hoc basis and a trustworthy person is paramount as it will be done remotely. We are now accepting card payments! Amazon Prime Day is coming!!! Head over to Prime day and purchase the prime music trial or prime service. We subscribe and the postage savings with next day delivery alone are worth it!